Our dogs use most of their bodies to communicate with us. But they also have a spoken language that helps us understand them. 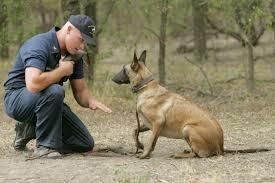 Dogs use their vocal language along with body language to assist us to learn what they are trying to say. The different sounds dogs use have different meanings. Once we know them, even the subtle differences in them, we get to know our dogs better. A sharp bark can signal an alarm, a low, long bark can mean fear, a high-pitched bark may indicate distress and boredom may show itself in a monotone. Dogs may often bark during play to express joy. Some hounds make a baying sound which is low-pitched and long, when they hunt for prey. Some dogs will bay when challenging an intruder. Growling is usually used as a warning. Don’t ignore this warning, just try to remove whatever is upsetting the dog or making him/her uncomfortable as aggression can follow. Dogs sometimes growl during play, especially the tugging game. Depending on the intensity of the growl, you might want to stop play and allow the dog to calm down. A low muttering sort of growl can indicate pleasure when being petted. Howling is a high-pitched sound. Some dogs howl when they hear a siren or when a large truck passes by. They will also howl when communicating with each other. One of my dogs, my beloved Timo who had bone cancer, would howl when in pain. Other indications of pain are whimpers or yelps. They are generally soft little cries. Some dogs will whimper or yelp when they are excited and/or happy, especially when welcoming their human home after a time away. Dogs whine with a closed mouth and produce a high-pitched sound. They also may use whining to let you know when they need to go out or they want something such as food or attention. A few dogs even have the ability to mimic human sounds and say words. We’re still not sure if they understand the meaning of the words, but it wouldn’t surprise me if they do.